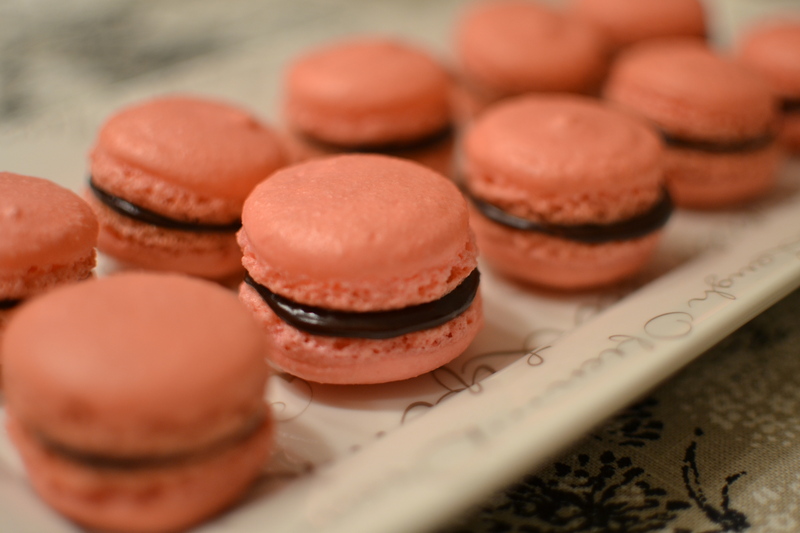 I had only had macarons once in my life before I made these. They were giving them out at a wedding I attended in the summer, and I wanted to try them again. 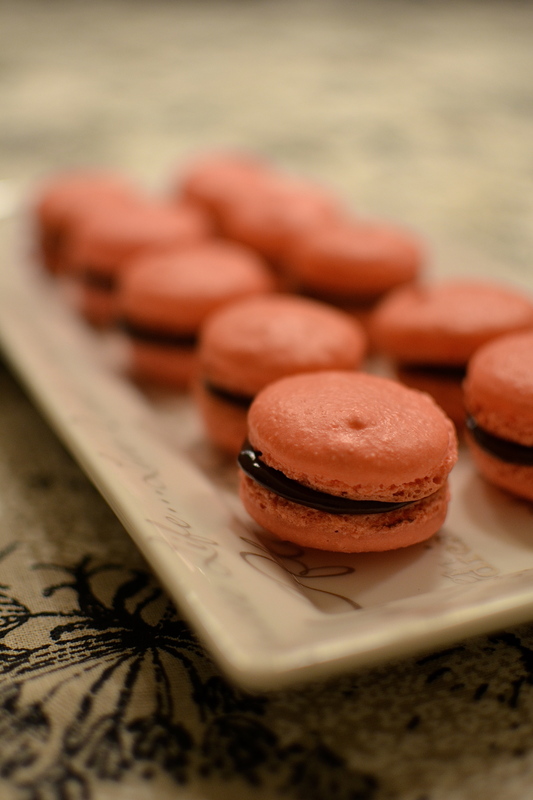 I was reading all about how to make macarons before I attempted this recipe, and people were saying how it takes 2-3 times until you can perfect the makings of macarons, so I was quite worried. 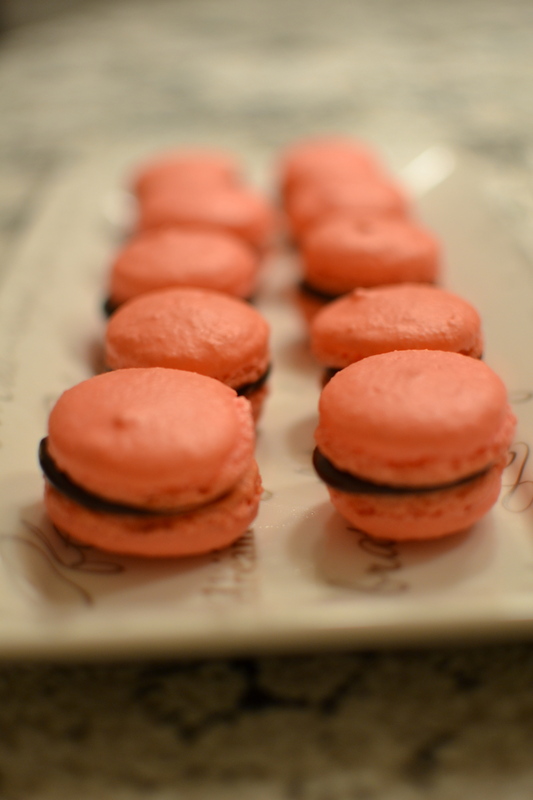 Thankfully, they turned out pretty good for the first time! A lot of recipes called for Almond flour and the kind at my grocery store was $16.00 and there was no way I was paying that much for a little bag of flour! Instead I bought ground almonds, and they were perfectly fine. Bring cream to a boil in a saucepan over medium-high heat. Pour cream over chocolate in a heatproof bowl. Let stand for 2 minutes. Add butter, then whisk mixture until smooth. Let cool, stirring often. Use immediately. Previous Post Hungry the Caterpillar themed birthday party! Oh my god! These look delicious! Haha thanks! The recipe is quite easy if you follow the instructions! Good luck if you do try it!